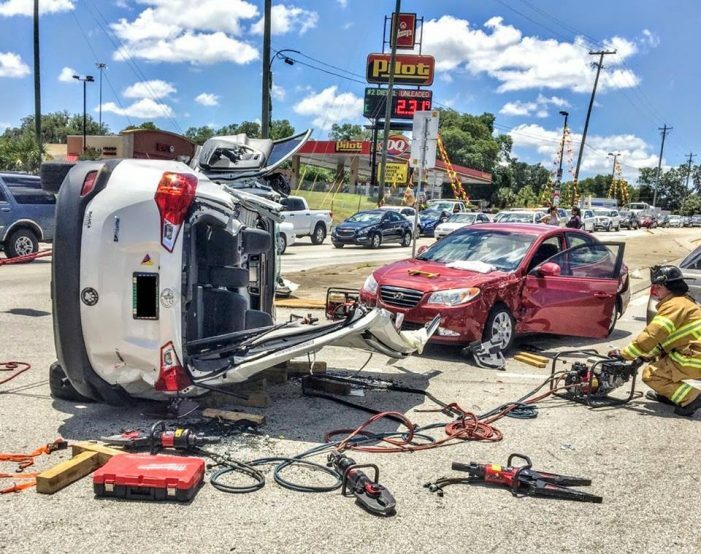 Two people had to be cut from their vehicle Tuesday afternoon following a traffic crash. 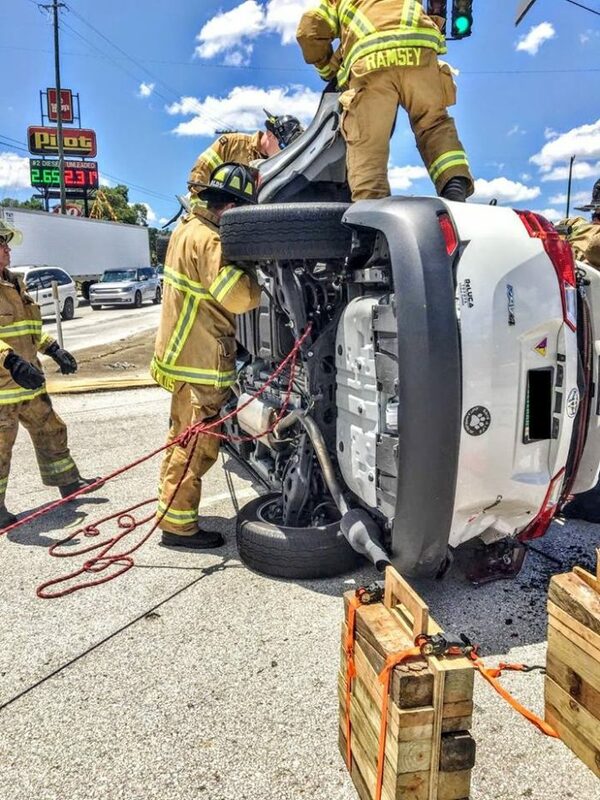 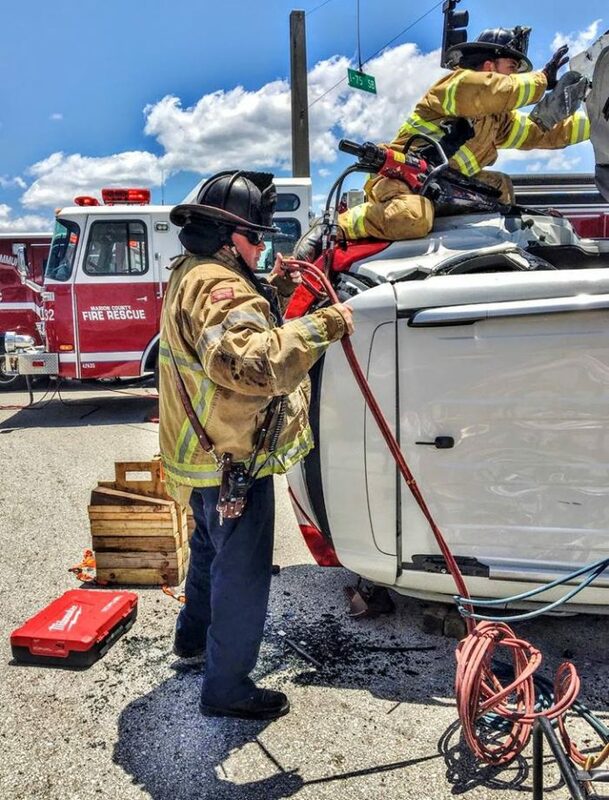 At approximately 1:13 p.m., Marion County Fire Rescue responded to I-75 and Highway 484 after a caller reported an accident in which two people were trapped. 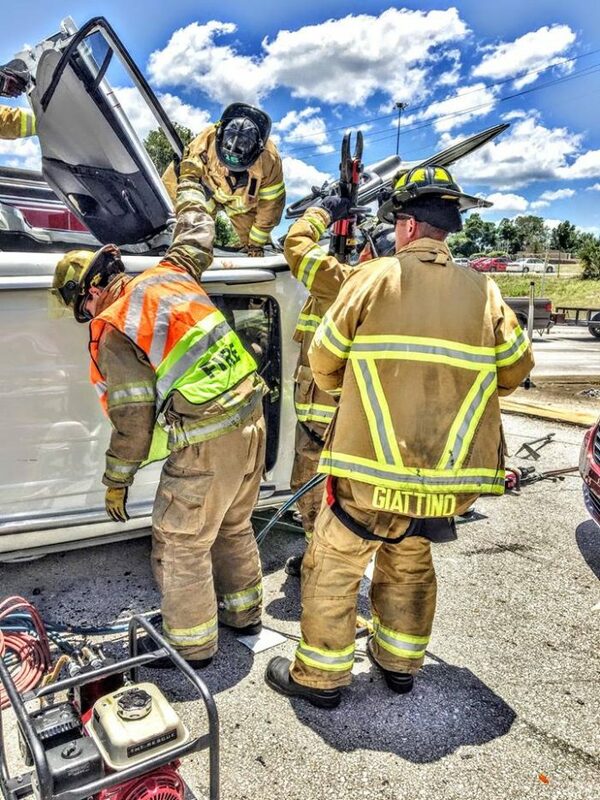 Shady Station #16 Engine Company and Liberty Station #32 Engine Company arrived on scene within minutes and began work to free the entrapped occupants. 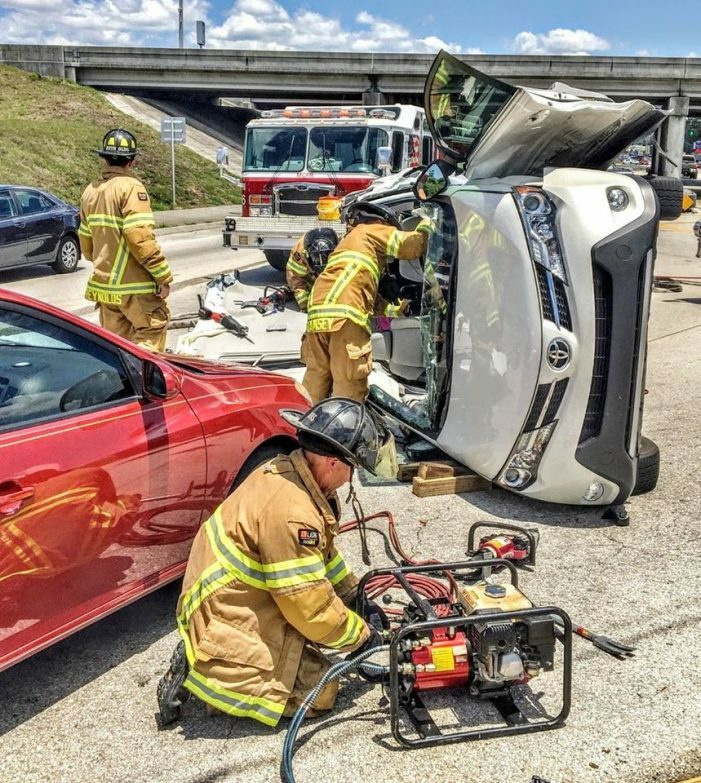 They were later accompanied by R518, R10, MCFR Safety, and R24. 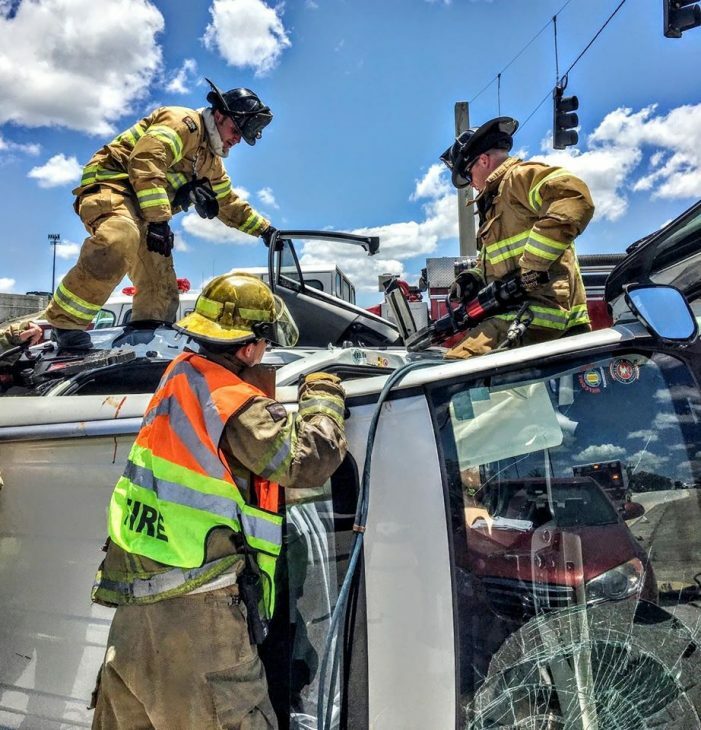 Firefighters were able to stabilize the vehicle, at which time they began popping open the doors. 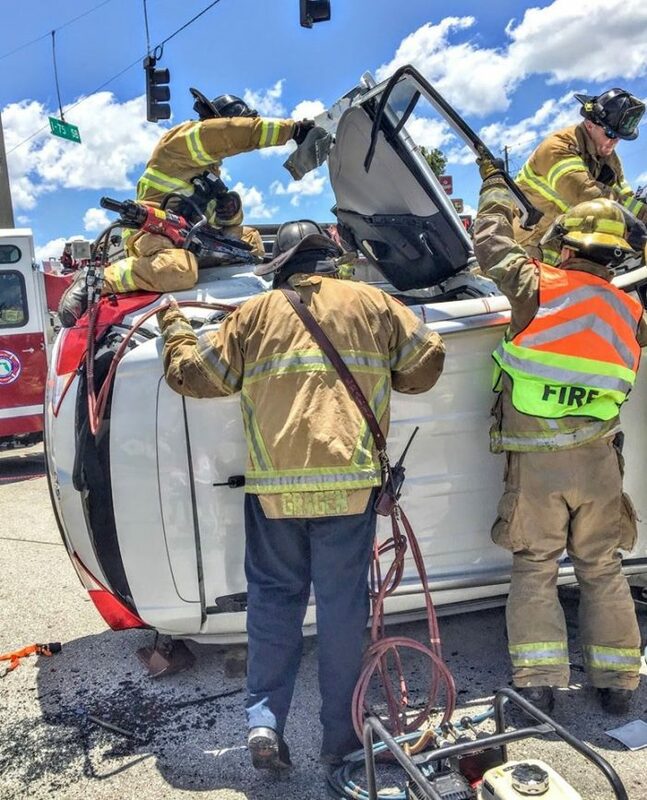 Firefighters had to cut the roof off of the overturned vehicle in order to remove the occupants safely. 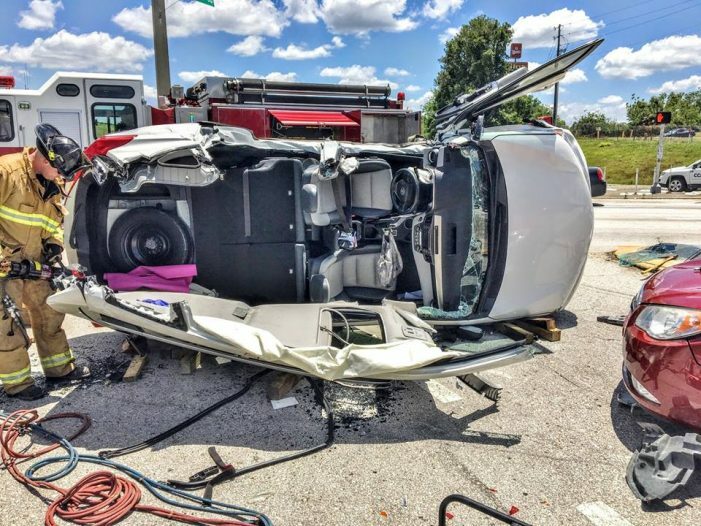 Three people were transported to a local hospital with non-life-threatening injuries. 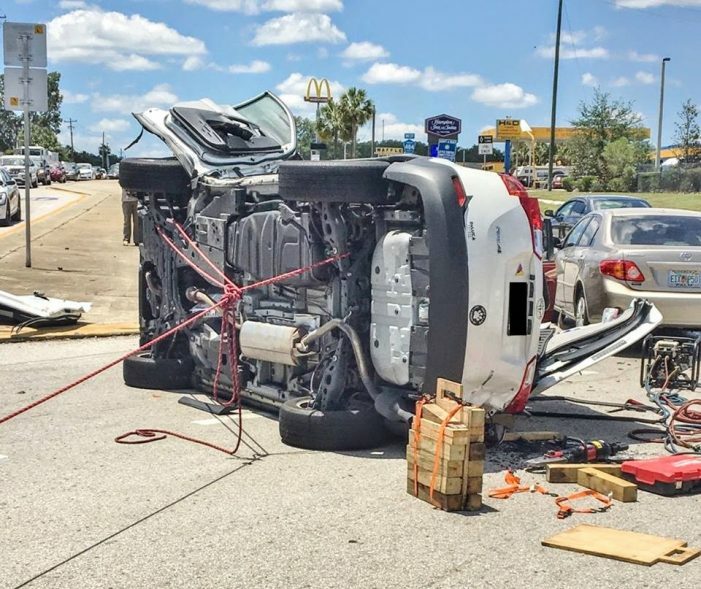 The cause of the accident is under investigation by Florida Highway Patrol.